As we referenced in our post from March 9th, “7 Essential Tech Conferences That Should Be on Your Radar”, SXSW is one of those conferences that is a must attend event in the tech world. In this blog article and the future few to come, we are going to reference in more detail as t o why each of those seven conferences are important to your tech success and how each event is constantly changing and advancing the world of technology and everyone’s everyday lives. 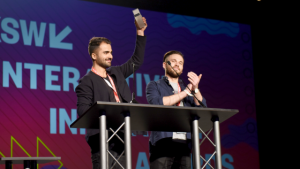 SXSW, or South by Southwest, is a series of conferences from a wide array of disciplines which allows individuals from all around the world to express themselves and showcase their creative ideas to the best of the best in their field. The conferences are run by SXSW, LLC. and is held every year in Austin, Texas during the month of March. The area that we are going to be paying attention to is “SXSW Interactive” which focuses on emerging technology, start-ups, speakers, and trade shows. Each year, tens of thousands of people flock to Austin to present their ideas, speak to other people from the tech world, and come up with more ideas on how they can expand their brand or company and the world of technology. How does SXSW Effect the World Around You? If you are questioning, “How does SXSW effect you?”, look around! Every year, CEOs in the tech industry and top scholars provide extensive context as to what is happening in the world of technology today and how things are going to change in the coming days, months, and years; domestically and globally. Additionally, they search for the next best device and how that invention could change the efficiency of our everyday lives and the “technological ecosystem” around us and thrust it into the next hemisphere and generation of industrial science. Finally, it provides the “ecosystem” with the foundation to work together and provide better ways to advance past, present, and future technology to make the consumers lives easier. How does SXSW Propel Your Future Success? Whether you’re a tech-mogul, techie right out of college, or the person with the next big invention, SXSW can offer the success you didn’t think possible before. SXSW allows everyday individuals with the opportunity of a lifetime to learn, grow, flourish and even get your foot in the door and cascade your inventions into the possibility of a job offer with one of the biggest companies around the world. The “SXSW Interactive” conference is the event with the convenience, knowledge, and circumstances to grow and excel in every way possible. Well if you can’t wait for next year’s SXSW and you’re just excited about what to expect from the tech conference as we are, then we are both in luck. This September, SXSW, LLC, has joined forces with Mercedes-Benz to create a new event called “me Convention” which conglomerates technology, design, and discussion about the future of everything techie and it will be a segue into next year’s SXSW traditional conferences. However, while SXSW is held in Austin, “me Convention” will be held in Frankfurt, Germany with a full list of top of the line speakers and a fresh futuristic approach on where technology is progressing to.